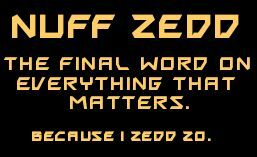 Nuff Zedd | The final word on everything that matters. Because I Zedd Zo. All original material on this site is copyrighted 2013-2018 by Stephen M. Poole, CBRE-AMD, all rights reserved. 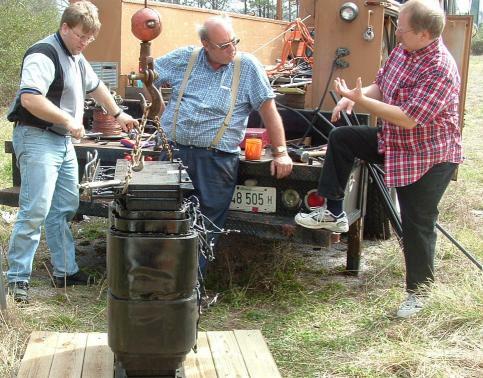 a transformer from a 50,000 watt AM transmitter for shipment. My name is Stephen M. Poole; by profession, I am a broadcast (radio) engineer. My current job is as Market Chief Engineer for Crawford Broadcasting Company (Kimtron, Inc) in Birmingham, Alabama. We have five stations in Alabama, and with the able assistance of my two assistants, Todd “Slipknot” Dixon and Jack “Dangerous Man” Bonds, we manage to assist two 100,000 watt FMs, a class A FM, a 50,000 watt AM and a 5,000 watt AM to keep nipping along smartly. The opinions expressed here are my own, and do not necessarily represent the opinions of my employer or anyone else on the planet. I’m not a scientist. I’m not a theologian. I’m just a guy who loves the Lord and who reads incessantly. Constantly. I’m primarily self-taught, which probably means that I’m so dangerous, you should hide the pets and potted plants when I stroll past. I live in the huge and happy metropolis of Hayden, AL, with my wife Sandy. No children, but we have two cats, Bobby and Millie, who are more spoiled than any human children would dare to be.